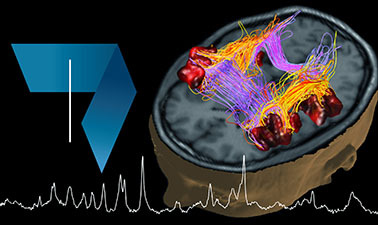 This physics course covers the physical principles of major in vivo bio-imaging modalities and the different imaging techniques. This course shows how existing physical principles transcend into bio-imaging and establish an important link into life sciences, illustrating the contributions physics can make to life sciences. Practical examples will be shown to illustrate the respective imaging modality, its use, premise and limitations, and biological safety will be touched upon. During this course, you will develop a good understanding of the mechanisms leading to tissue contrast of the bio-imaging modalities covered in this course, including the inner workings of the scanner and how they define the range of possible biomedical applications. You will be able to judge which imaging modality is adequate for specific life science needs and to understand the limits and promises of each modality. To learn more about biomedical imaging, join us in the second part of this course Biomedical Imaging: Magnetic Resonance Imaging (MRI). Overally, this is a really brilliant course! 1. Prof. Rolf Gruetter explained the concept in detail with providing specific examples. 2. The graded homework is closely linked with the content introduced in the lecture and it does help to develop a understanding of the fundamental concepts. 3. Personally I think the additional exercise is the most exciting part of the course. This optional exercise is in depth, which helps to have a further understanding of the content in the course through applying the knowledge to solve the real problem. Also, Prof Rolf Gruetter provides the detailed solution to the questions which is also good for self-assessment. my name is Eliyas Alemayehu i was gradjuat Electrical and Computer Engineering from Jimma University and iam working jimma university specialized hospital so in this hospital at this time we have no professional technical person.for this problem need to solve the problem of the health-care equipment when i have got this chance.